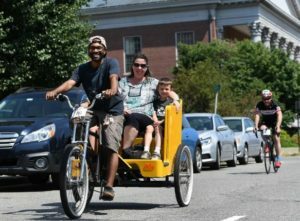 Want a fun ride to your favorite venue, restaurant, or bar in the Canal District, City Square, or on Shrewsbury Street? 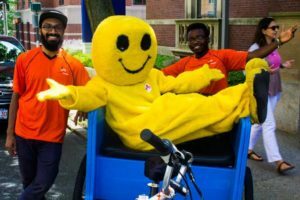 Take our pedicabs! Operating Thursday through Saturday nights from 10:00pm to 2:00am. Starting at just $5! Planning a special event? Work with us to create a fun and engaging transportation experience for your guests! Available by reservation. Send your inquiry to woorides@gmail.com.